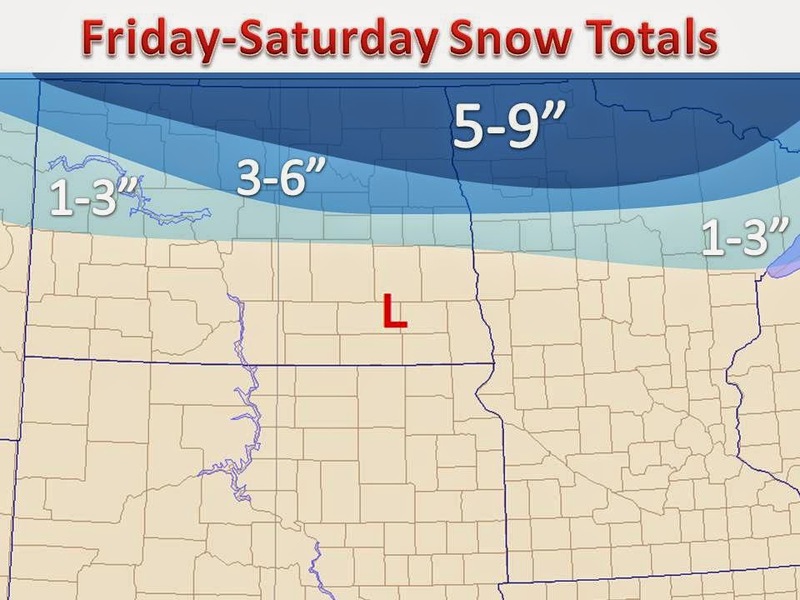 Major snow droughts in December in areas such as Iowa and Wisconsin will see some relief this weekend. 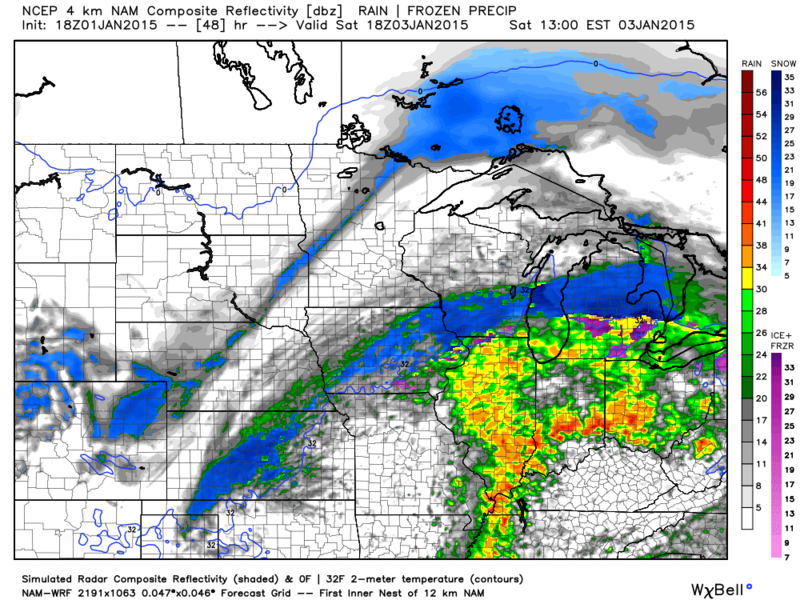 Several inches of snow will blanket areas of brown, barren land by Sunday morning. An area of low pressure currently dumping heavy amounts of snow in the higher elevations of Arizona will makes its trek northeastward over the next few days into parts of the Midwest. 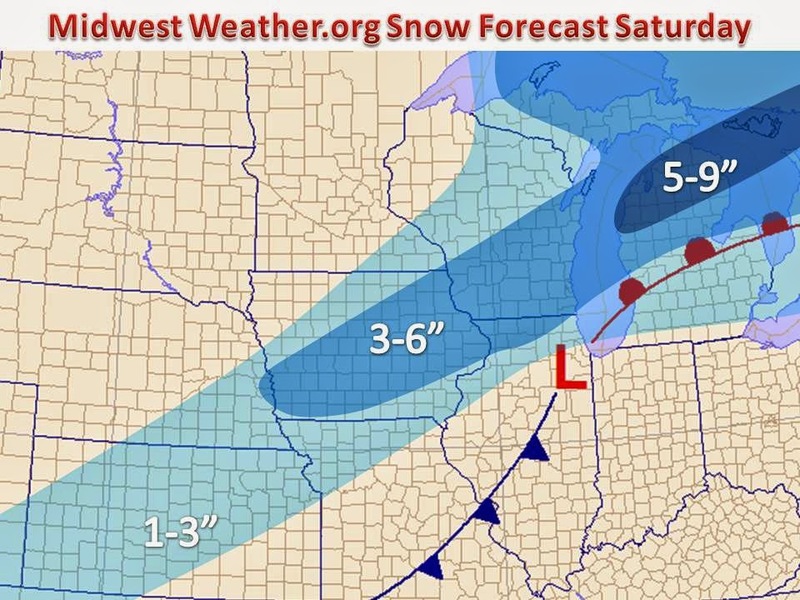 As the surface low pressure deepens over northern Illinois, a narrow band of nearly a half of a foot of snow will set up on the northwest side of the track. Currently, models are hinting that the band will set up from central Iowa through northern parts of Lower Michigan, where lake enhancement should provide an amplification in snow totals. Furthermore, eastern Wisconsin could see an inch or two more than surroundings areas as winds will be blowing westerly off the relatively warmer waters of Lake Michigan for a period of time. 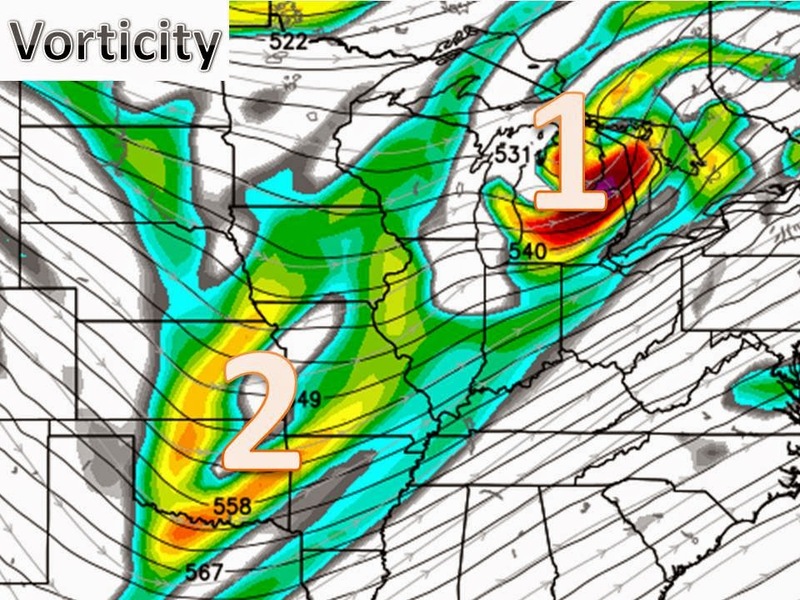 This feature will create steep and unstable lapse rates, which may allow for some convection, or thunder in such areas, assuming the dynamics works out as modeled.